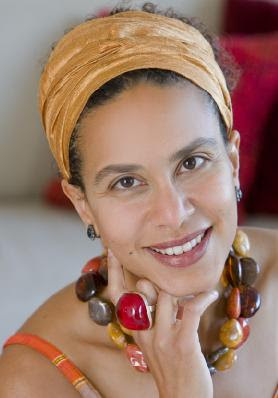 California-based Sarah Ladipo Manyika is reading from her new, brilliant historical novel In Dependence in the UK. Cassava Republic will be publishing the West Africa edition in the Spring next year. In Dependence, is Sarah's first novel. The story begins in the early 1960s when Tayo Ajayi meets Vanessa Richardson, the beautiful daughter of an ex-colonial officer. Their story, which spans three continents and four turbulent decades, is that of a brave but bittersweet love affair. It is the story of individuals struggling to find their place within uncertain political times – a story of passion and idealism, courage and betrayal, and the universal desire to fall madly, deeply, in love. Dr. Ladipo's new novel appears rather ambitious and compelling. I can sense feelings, painful, diverse and very complex. I am thinking of emotions folded into something new. It must be interesting. Can't wait! I hope it fits comfortably in the mind. The blurb sounds too cheesy. (insert vomiting sound here).